the ClearOS Marketplace at no additional cost and the flexibility to customize as needed. Applications and an operating system come with your computer, tablet, and phone. So, why not on your server? 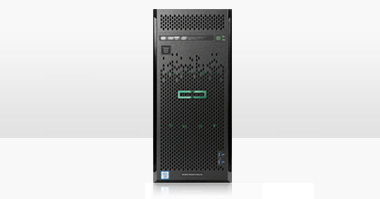 HPE is redefining the small business server by offering ClearOS with HPE ProLiant servers. ClearOS is a simple, open, and affordable operating system with an intuitive graphical web-based user interface and an application marketplace with over 100 apps to choose from, with more being added every day. Leveraging open source software, you decide what applications you need and only pay for the applications and support you want. HPE and ClearCenter are making it easy for small, home, remote, and branch offices to have a server ready to use, out of the box, at no additional cost. HPE ProLiant integrated with ClearOS offers a simple, affordable, and secure experience. Building the IT solution that is just right for you has never been easier. Provide SMBs with fully functional servers that come with ClearOS, an operating system with an Application Marketplace at no additional cost and the flexibility to customize as needed. Installation and setup is made easy with ClearOS already pre-loaded into the server. The intuitive web-based graphical user interface allows Small to Midsize Businesses (SMBs) to effortlessly navigate the Application Marketplace in order to download and deploy the necessary applications for their core business processes. ClearOS is pre-loaded on specific SMB-focused smart servers and is also available through Intelligent Provisioning. It adds no additional cost to the platform out of the door. In the future, necessary updates, patches, and fixes will be provided at no additional cost to the SMB. ClearOS has a growing online store of 100+ applications and services that SMBs can quickly browse and select to install on their server. This collection of free and fee-based applications empower SMBs to download, install, and pay for only those applications and services they need and value. ClearOS will be available for preload on HPE ProLiant ML110, ML30, and DL20 servers making these servers ready to use right out of the box. 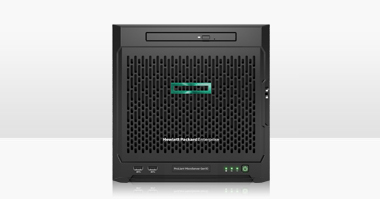 HPE is also making ClearOS available for download and installation via Intelligent Provisioning on all ProLiant servers 300 series and below. ClearOS is available to download from HPE.com. Small to Midsize Businesses want customizable IT to fit their specific business needs. They want the flexibility provided by Hybrid IT without increased complexity. They also need an operating system that will work for them and allow them to deploy all the applications that they need. By partnering with ClearCenter, HPE is deploying ClearOS, a Linux-based open-source operations system to redefine the small business server, making it a customizable, easy-to-use software platform that will improve business outcomes and reduce costs in the process. What are folks saying about ClearOS? What is HPE doing with ClearOS? 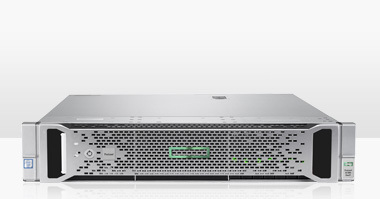 HPE is making ClearOS available on HPE SMB ProLiant servers. Why is HPE making ClearOS available? IT for SMBs can be complex and costly. HPE is working to simplify and lower the cost of IT for SMBs. With ClearOS, HPE provides a platform for making low cost hybrid IT simple, secure and affordable. ClearOS is an open source software platform that leverages the open source model to deliver a simplified, low cost hybrid IT experience for SMBs. The value of ClearOS is the integration of free open source technologies making it easier to use. By not charging for open source, ClearOS focuses on the value SMBs gain from the integration so SMBs only pay for the products and services they need and value. Many companies leverage open source, what makes ClearOS so special? How ClearOS has integrated open source technologies to make low cost hybrid IT easy is what makes ClearOS so special. ClearOS has an easy to use, intuitive, web-based GUI that allows for fast and easy setup and installation of not just the server environment, but also the applications that run on it. ClearOS has a growing online application marketplace (store) of 100+ applications and services that SMBs can quickly browse and select to install on their server in the same way you do with the app store on your smart phone today. This collection of free and fee based applications empower SMBs to download, install and pay for only those applications and services they need and value. What are some examples of the applications and services in the ClearOS application marketplace? ClearOS has a mixture of free and fee-based applications and services that are organized into 6 categories: Cloud, Gateway, Server, Networking, System and Reports. Popular applications include network and gateway applications such as firewall, Content filter, etc. Server applications include mail, media, file/print, etc. These are a few of the over 100+ applications and services available with more added all the time. What you are describing sounds more like an appliance, is ClearOS an appliance? ClearOS can be used like an appliance. Several applications from the application Marketplace could be installed and used in the same way you would an appliance. ClearOS is a public product, what is unique about what HPE is doing? What is unique is that HPE will be the exclusive IHV to offer ClearOS with its servers. This means SMBs now have a server that is ready to go right out of the box. HPE will be preloading ClearOS on select servers and making it available via Intelligent Provisioning on other servers. This will be done at no additional cost allowing SMBs to decide which applications, services and support to buy. HPE will also be providing helpful content to train and educate SMB customers and partners on how best to take advantage of ClearOS. Why is HPE offering ClearOS? The future of IT for SMBs will be creating simple, affordable, and secure servers based on open source technology. HPE wants to be the platform on which SMBs build their business. By offering ClearOS HPE is making IT simple, affordable, and secure for SMBs. Microsoft is a big player in SMB, how does ClearOS fit in? Several years ago Microsoft offered a small business server product for SMBs. However that product has since been discontinued. As Microsoft moves deeper into the cloud products like ClearOS integrate with their cloud model providing a seamless path for SMBs to operate Microsoft technologies on premise and off premise. ClearOS helps to not only fill the void created when small business server was discontinued but also creates a ramp for customers to Microsoft Azure. What is the difference between ClearOS and Easy Connect? ClearOS is a platform for primary use, dedicated function servers while Easy Connect is the complete SMB solution for cloud. Easy Connect is complete solution while ClearOS requires more tweaking and customization. ClearOS is an ideal platform for partners to build, customize applications and services appropriate for their SMB customers. ClearOS is also for SMB customers that prefer to build it themselves. Why would SMB customers or partners value ClearOS? Because of the integration and intuitive graphical user interface, ClearOS is easy to use like Windows but at a fraction of the cost. And ClearOS adds no cost to the platform out the door. Updates and patches and fixes are free. Partners and customers will only pay for the technology and services they need and value. How do partners make money with ClearOS? Partners make money via the service provider model. The cost of open source technology is free which means partners pay less for integration done for ClearOS applications and services. This allows partners to transition to service providers where SMB customers pay them a recurring monthly fee for the integration and manage services value they provide versus the one time purchase of the hardware and software acquired for the solution. What would stop a customer from running ClearOS today? Nothing. HPE encourages SMB customers and partners to start downloading and using it today on HPE ProLiant servers and many already have. ClearOS has been deployed in over 150 countries and will be available in over 80 different languages in ClearOS 7. When will HPE make ClearOS available in its ProLiant SMB servers? Is ClearOS based on Linux? Yes, it is based on the CentOS kernel. How long has ClearOS been in the market? Are there any other ClearOS products? Yes, ClearVM a virtualization platform which includes VM templates for many operating environments including ClearOS. What is the company behind ClearOS? Why is HP not offering ClearVM now? Some additional integration work is being completed to ensure the best possible customer experience with ClearVM. Depending on completion of that work ClearVM may be available from HPE the end of 2017. Where can I go to learn more about ClearOS? Does ClearOS work on other IHV servers? Yes, however, HPE is the exclusive IHV to offer ClearOS. In addition, ClearOS will be tightly integrated and made available preloaded on select HPE servers making ClearOS easier to deploy. What does the exclusivity we have with ClearCenter bring, for the customers? Solid financial drivers for both HPE to cont A path for HPE and HPE Partners to make money leveraging open source technology. How is what HPE is offering different than what can be done with ClearOS and other IHVs? HPE and ClearCenter have created a turnkey preload image for select servers accelerating deployment and enhancing easy of use. Can ClearOS be deployed with iLO virtual media? Yes. Follow the instructions in the latest iLO user guide on the iLO web site. Can I create a template that I can copy across many servers? Yes. Instructions for doing this can be found at…. (Internal) How does an HPE partner make money? Because ClearOS is open source and there are no user fees, the partner can charge for monthly value-added services they are providing their customers. Is ClearOS a Linux distribution I can trust? Yes. ClearOS is based on CentOS which is a very stable and secure community distribution based on Red Hat Enterprise Linux. ClearOS has been in the market for the past 7 years and has over 400,000 deployments worldwide that include Fortune 500 customers and international governments. How does ClearOS compare to Windows Server 2016? Click here to view the comparison (include how much memory and disk is required, size of ClearOS and Windows Server 2016). What are the ClearOS customer use cases? Typical use cases involve applications found in the Gateway, Networking or Server Marketplace application layers. Typical applications are related to security in the Gateway and Networking layer, applications such as Firewall, Content Filtering, and Intrusion Detection and Prevention. Popular use cases include media, mail, and file serving. How do I get support for ClearOS? Support for ClearOS is provided by ClearCenter. Customers can purchase ClearCARE Level I, II, III, and per incident support. ClearOS subscriptions are available in Bronze, Silver, Gold and Platinum (Gold and Platinum include support). How does ClearVM compare to HyperV, ESX, KVM, and RHEV? Can I migrate older workloads? Yes, you can migrate older workloads by creating and putting them into a VM that would be managed by ClearVM the same way it would be managed by KVM. Can I create Windows VMs? Yes, however, you would be responsible for complying with and paying all associated licensing terms and costs. How do I migrate VMs to ClearVM? You would migrate VMs the same way you migrate VMs for KVM. What does ClearVM offer that other hypervisors do not? Less expensive, easier to use VM and physical server management interface. What are the key features of ClearOS? Click here to view the key features of ClearOS. Is the B140i RAID controller supported with ClearOS? No, ClearOS does not support the B140i software RAID controller. The B140i is based on a closed source driver. Since the driver is not open source, HPE is unable to include it in the upstream Linux kernel. However, ClearOS includes a robust Linux software RAID option. The ClearOS software RAID is the same as is offered in Red Hat Enterprise Linux and CentOS and has been a proven RAID solution in the market for many years. How does ClearOS fit in with Microsoft Windows Server? ClearOS is complementary to Microsoft with many of its Gateway, Networking, and Server applications. These applications serve a dedicated usage scenario that works with Microsoft Windows Server. ClearOS also integrates into Active Directory via the Microsoft Active Directory Connector allowing the single directory management. ClearOS can also be hosted on Microsoft Azure. Partners and Customers can continue to enjoy the benefits of Windows Server while taking advantage of affordable ClearOS applications and services. What ClearOS products can partners sell? Partners can sell all ClearOS products and services. Support for ClearOS is provided by ClearCenter. Customers can purchase ClearCARE Level I, II, III, and per incident support. ClearOS subscriptions are available in Bronze, Silver, Gold and Platinum (Gold and Platinum include support). Click here to view more. What are the versions of ClearOS? There are three editions of ClearOS: Community, Home, and Business. Most customers and partners will select Business Edition. Watch what ClearOS can do for you? Deploy exactly what you need using security, gateway, network, and server apps. Redefine the Server with Ready-to-Use ClearOS. ClearOS 7.2.0 Community has been released!